Israel and the US have reached secret agreements about construction in Jerusalem. Both sides agreed to leave the agreements between themselves and not make them public, and if they should be leaked nevertheless, deny them vigorously. The purpose is in order not to create difficulties for Prime Minister Binyamin Netanyahu in the coalition, and particularly in the Likud party. The agreements indicate that contrary to Israeli boasting, Netanyahu’s answer to Obama regarding Jerusalem was not “No.” It was something in the middle, a little closer to the far end (a freeze) than the close one (continued construction at full tilt). The most accurate translation for this agreement is “Yes, but.” It is possible that Netanyahu has learned something from the bad old days of Shimon Peres, during which he got the nickname “Yes and no.” Now it is Netanyahu’s turn. The International Monetary Fund has revised upward its estimate and projections for Syria’s Gross Domestic Product growth. Syria’s production of wheat is expected to increase by some 10-15 percent during the 2010/11 crop as rainfalls during February were good, a report from the US Department of Agriculture said. The Syrian state news agency says Syria and Bulgaria have signed a deal to write off most of Damascus’ outstanding debt to the European nation. The SANA news agency says Prime Minister Naji al-Otari inked the agreement with his Bulgarian counterpart, Boiko Borisov, on Sunday. Syrian Finance Minister Mohammad al-Hussein told reporters that Bulgaria agreed to write off $54 million of Damascus’ debt. He said the two sides will study ways to repay the remaining $17 million. Al-Hussein said that with Sunday’s agreement, Damascus has settled all of its foreign debt, the bulk of which dated back to the 1980s. March 31 (Bloomberg) — The crisis in U.S.-Israeli relations isn’t going away. If anything, it keeps getting worse, precisely because it has exposed and crystallized a gap between the goals, expectations and even the national interests of these old allies. The basic relationship may still be “rock solid,” as U.S. Secretary of State Hillary Clinton put it recently, but it is being tugged in opposite directions. Maybe now is the time to take money out of the equation. Israel will get $2.7 billion in military aid from the U.S. this year — or 18 percent of Israel’s military budget. By 2013, that will lock into an annual level of $3.15 billion for five years. It also has almost $4 billion outstanding in available U.S. loan guarantees, left over from $9 billion extended at former Prime Minister Ariel Sharon’s request in 2003. That makes Israel the largest recipient of U.S. aid in the world, if you don’t count Iraq and Afghanistan. It also benefits from some of the easiest terms: Unlike other recipients, which must buy 100 percent American, Israel can spend about one quarter of its U.S. military aid at home, which amounts to a significant boost to its defense industry. The problem with this kind of largess is that it muddies the picture, both for Israel and the U.S. The best thing for the relationship would be for the U.S. to cut Israel’s allowance. Under that scenario, Israel could pay less heed to U.S. pressure and do what it thinks it must for its own national security. Many would argue that Prime Minister Benjamin Netanyahu is doing that anyway. The difference would be that the U.S. wouldn’t be there to help pay for it….. The problem isn’t that Mr. Assad is not getting the U.S. message. It’s that he sees no need to listen. Announcing a comprehensive plan now—one that is all but certain to fail—risks discrediting good ideas, breeding frustration in the Arab world, and diluting America’s reputation for getting things done. To be sure, peace between Israelis and Palestinians would be of real value. It would constitute a major foreign-policy accomplishment for the United States. It would help ensure Israel’s survival as a democratic, secure, prosperous, Jewish state. It would reduce Palestinian and Arab alienation, a source of anti-Americanism and radicalism. And it would dilute the appeal of Iran and its clients. But it is easy to exaggerate how central the Israel-Palestinian issue is and how much the U.S. pays for the current state of affairs. …. Alas, neither would terrorism fade if Israelis and Palestinians finally ended their conflict. Al Qaeda was initially motivated by a desire to rid the Arabian Peninsula of infidels. Its larger goal is to spread Islam in a form that closely resembles its pure, seventh-century character. Lip service is paid to Palestinian goals, but the radical terrorist agenda would not be satisfied by Palestinian statehood. What is more, any Palestinian state would materialize only amidst compromise. There will be no return to the 1967 borders; at most, Palestinians would be compensated for territorial adjustments made necessary by large blocs of Jewish settlements and Israeli security concerns. There will be nothing more than a token right of return for Palestinians to Israel. Jerusalem will remain undivided and at most shared. Terrorists would see all this as a sell-out, and they would target not just Israel but those Palestinians and Arab states who made peace with it. Also needed are efforts to repair U.S.-Israeli ties. The most important issue facing the two countries is Iran…..
Mr. Haass is president of the Council on Foreign Relations and the author of “War of Necessity, War of Choice: A Memoir of Two Iraq Wars” (Simon & Schuster, 2009). BASHAR AL-ASSAD is proving to be an embarrassment for the Obama administration. In pursuit of President Obama’s policy of “engagement” with U.S. adversaries, the State Department has dispatched several senior envoys to Damascus for talks with the Syrian dictator. It has also nominated a new ambassador and repeatedly expressed the hope for a step-by-step improvement in relations. So far Mr. Assad has responded by holding a summit with Iranian President Mahmoud Ahmadinejad and Hezbollah leader Hassan Nasrallah, at which he publicly ridiculed the U.S diplomatic initiative. In secret, he has stepped up an illegal and dangerous transfer of weapons to Hezbollah’s forces in Lebanon. Most recently, Mr. Assad has been accused by Israel of handing Scud missiles to Hezbollah, which would allow the Iranian-sponsored group to attack every major city in Israel with one-ton warheads. If it occurred, the transfer would, as the State Department said last week, “pose an immediate threat to both the security of Israel and the sovereignty of Lebanon.” So the administration has found itself in the awkward position of simultaneously defending the engagement policy, urging the Senate to confirm ambassador-nominee Robert Ford — and appearing to threaten Damascus with military action. What got us to here in the first place? I would argue that it is simply February Madness. Let’s recap. The story starts on February 26, 2009, when tAssistant Secretary of State for Near East Affairs Jeffrey Feltman invited Syrian Ambassador Imad Mustapha to the State Department for a cordial two-hour meeting. Now, it was by no means easy for these two men to bond; there’s a lot of the historical baggage between the Syrian academic (whose diplomacy is driven by emotions,) and the US intellectual (whose diplomacy is shaped by his experience in Lebanon). After exactly one year, on February 26, 2010, Feltman summoned Mustapha, again informing him about US concerns over the transfer of weapons to Hezbollah. This meeting was surrounded by two telling events: Israeli Defense Minister Ehud Barak was in Washington warning about the situation in Lebanon, while, on the same day, the first straw of the US-Lebanese security treaty controversy spiraled out of control in Beirut, challenging the residual US influence in the country. It seemed a cold war was about to start…..
Officials in the US administration were the ones who leaked suspicions that Hezbollah had acquired Scud missiles from Syria, in order to “lay the groundwork for a proposal to the UN Security Council, to put together a resolution on the deployment of UN forces along the Syrian-Lebanese border,” the Kuwaiti Al-Rai newspaper reported Sunday. Reform is bringing benefits to the country — both in terms of economic growth and political openness. 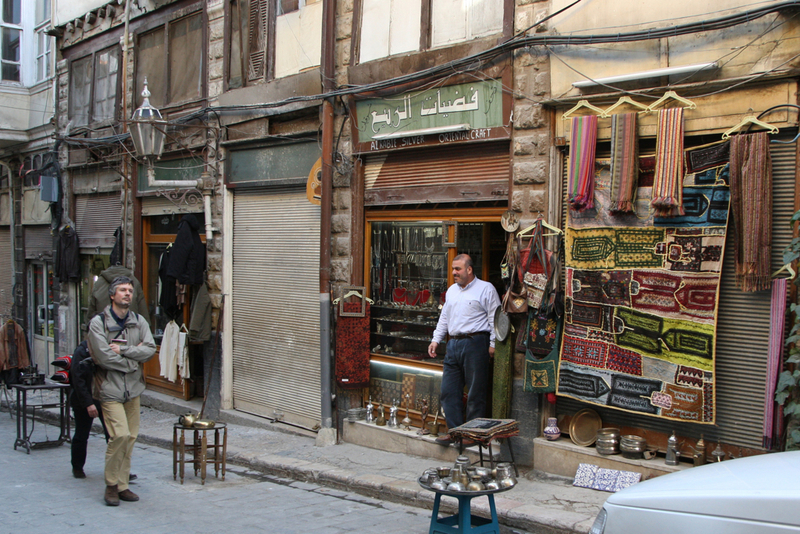 In the midst of a transition from a centrally planned economy to a “social market,” Syria’s economy is faring well…. “A wealth gap is one of the problems of economic liberalization and has happened in countries from Indonesia to Russia,” said Sukkar. A BBC Poll released a week ago shows that the global view of Israel continue to go downhill. According to the poll, the least favorably viewed nations on earth are Iran (15%), followed by Pakistan (16%), North Korea (17%) and Israel (19%). Notice that the difference is probably within the margin of error. Positive ratings of Israel dropped by 7 points in the US last year, down to 40. A BBC Poll released a week ago shows that the global view of Israel continue to go downhill. Fortunately, it is the “global view” in the UNSC that really matters. Akbar, remind me to start quoting from Albaath newspaper every time you quote from your camera.org! وكان خدام قد رفض إخلاء القصر الذي اشترته عائلة الحريري من ابنة الملياردير اليوناني (أوناسيس)، وادعى بأن عائلة الحريري والمملكة السعودية وعداه بتعويضه عن أملاكه في سوريا إذا انقلب على النظام، وأنه لبى هذا المطلب غير أنهم لم يعوضوه إلا مبلغ سبعة ملايين دولار، وها هم الآن بعد أن تركوه وحيداً يريدون طرده من المنزل الذي يسكن فيه! وأضافت المصادر أن خدام يعاني من إكتئاب نفسي وارتفاع في الضغط، وقد نصحه الأطباء بالتزام الراحة وعدم “التعصيب” والتفكير والإرهاق لأن ذلك من شأنه التأثير على صحته، حيث تعرض السنة الماضية لأزمة قلبية أجرى على أثرها عملية (قسطرة) للقلب. وبحسب المصادر إياها، فإن خدام قال “إنه لن يسمح بإهانته ورميه بعد استخدامه ضد الرئيس بشار الأسد وضد سوريا بعد أن كان الرجل الثاني في الحكم، والحاكم الفعلي للبنان طيلة ثلاثين عاماً”، وأنه هدد بالكلام وفضح كل شيء على طريقة “عليّ وعلى أعدائي يا رب”. If by smoking ban al-Jazeera means a pretend ban on smoking so various Syrian reprobates can reap profits from “permits” coupled with egregious bribes…than yes. There is a smoking ban. With 4% approval rating among Israelis, Obama starts to understand, that better respect and reach understandings with Bibi, rather then humiliating and insulting him. Looks like Abbas too, realizes that Bibi is here to stay, so as his present government. The most indissoluble government that Israel had in years. Labor isn’t leaving, and Kadima will not join. In the interview Abbas gave yesterday (Mon.) to channel 2, he sounded sober and realistic. This is the best layout for Obama, if he wants to achieve something. A big and stable Israeli government, and Kadima supporting Obama-Bibi-Abbas agreements, from the opposition. Definition of Arrogance: Having or revealing an exaggerated sense of one’s own importance or abilities. Under your “useful Facts & Figures”, you didn’t include pro-Israel votes. The US isn’t Syria motek. Notice how Palestinian President Abbas was never raked over-the-coals or punished in the world media (or even on this forum, including the Israeli Leftists) for refusing to negotiate. The only person in the “spotlight” was the “Hardline™ Prime Minister”, Benjamin Netanyahu. And now, all of a sudden, and without warning, Abbas is ready for peace. Why? Because Israel was willing to freeze settlements for 4 weeks.